Meeting people I’ve written about is always a pleasure at gatherings of the interstellar-minded, and I was delighted to run into Victoria Meadows (University of Washington) in the lobby of our hotel on the final day of the Breakthrough Starshot meetings. Rory Barnes is a colleague of Meadows at UW and recently described the research underway at the Virtual Planetary Laboratory there, at which Meadows is the director. Barnes’ essay Opportunities and Obstacles for Life on Proxima b appeared as a guest post on the Pale Red Dot site. I wished I had time to discuss Proxima with Meadows, but our meeting was brief as everyone dispersed for dinner. What Meadows and fellow researchers Giada Arney, Edward Schwieterman and Rodrigo Luger are doing is to produce computer models through which they can study Proxima b’s habitability, based on everything from the planet’s orbit to the characteristics of not just its host star, but the nearby stars Centauri A and B. Out of this come conclusions about the possibility of life, not all of which are positive. We’re reminded that being in the habitable zone is just one of a series of complex requirements for producing sustainable life on a planet. Let’s review what we’ve learned so far about Proxima b in the short time since its detection. Its year is 11.2 days in an orbit that may or may not be circular. The planet seems to be a bit more massive than the Earth, and we may learn that it is several times as massive. Its host star, Proxima Centauri, is only 12 percent as massive as the Sun, and like many red dwarfs, it is known to be a flare star. Whether or not it is gravitationally bound to Centauri A and B remains an open question, though most astronomers I’ve talked to think that it is. As I did yesterday, I’ll also refer you to Andrew LePage’s Habitable Planet Reality Check: Proxima Centauri b. Is Proxima b a rocky world? Barnes thinks the odds on that are good. As explained yesterday, radial velocity methods, by which Proxima b was detected, can provide no more than a minimum mass. Few of the possible orbits for Proxima b that are consistent with the data — only about 5 percent of them, in fact — yield a planet above 5 Earth masses, which is good news for a rocky composition. We’ve already discussed factors like tidal lock and flares from the host star, but Barnes brings another issue into the mix. Just how did this planet evolve? The history of Proxima’s brightness evolution has been slow and complicated. Stellar evolution models all predict that for the first one billion years Proxima slowly dimmed to its current brightness, which implies that for about the first quarter of a billion years, Proxima b’s surface would have been too hot for Earth-like conditions. As Rodrigo Luger and I recently showed, had our modern Earth been placed in such a situation, it would have become a Venus-like world, in a runaway greenhouse state that can destroy all of the planet’s primordial water. This desiccation can occur because the molecular bonds between hydrogen and oxygen in water can be destroyed in the upper atmosphere by radiation from the star, and hydrogen, being the lightest of the elements, can escape the planet’s gravity. Without hydrogen, there can be no water, and the planet is not habitable. Escaping or avoiding this early runaway greenhouse is the biggest hurdle for Proxima b’s chances for supporting life. Image: The University of Washington’s Rory Barnes, whose work focuses on planets in and around the “habitable zones” of low-mass stars, showing how their composition, orbital oscillations, and tidal processes affect our concept of planetary habitability. Credit: UW. So we have a habitable zone that, over time, moves inward, with the distinct possibility that Proxima b might have lost its water in the first ten million years of its existence. Even if some water remains, Barnes writes, the atmosphere may then contain large quantities of oxygen, a reactive element that could well have prevented the formation of prebiotic molecules. Our own Earth eventually developed oxygen through photosynthesis, but life formed here in the absence of oxygen. We have an odd scenario here, the possibility of a planet with surviving oceans and an atmosphere rich in oxygen, but one that is unable to produce life in the first place. We’ll be investigating all this with future space-based missions as well as observations on the ground. As to Meadows’ work at the Virtual Planetary Laboratory, it’s related to distinguishing the possible conditions in Proxima b’s atmosphere through spectral analysis. We may be able to discern oxygen features in a spectrum that will help us decide whether there is too much oxygen for life to form, or an amount of oxygen that would be compatible with living systems. This energy is often called “tidal heating” and is a result of the deformation of the planet due to changes in the host star’s gravitational force across the planet’s diameter. For example, if the planet is on an elliptical orbit, when it is closer to the star, it feels stronger gravity than when it is farther away. This variation will cause the shape of the planet to change, and this deformation can cause friction between layers in the planet’s interior, producing heat. In extreme cases, tidal heating could trigger the onset of a runaway greenhouse like the one that desiccated Venus, independent of starlight. Proxima b is not likely to be in this state, according to Barnes, but he still sees the possibility of continual volcanic eruptions — think Io — and huge oceanic wave activity related to this. As to flaring, much depends on whether Proxima b’s atmosphere could be shielded by a strong magnetic field. Alternatively, life could develop under relatively shallow levels of water. Barnes discusses all these issues in two new papers on which the Pale Red Dot essay was based, reminding us how much we have to learn before we can make the call on Proxima b’s habitability. There is some evidence for a second planet around Proxima Centauri, one that could perturb Proxima b’s orbit and supply energy to its interior. As we learn more, we’ll discover whether a star that can live for trillions of years can sustain life on the planets that crowd near it. Observations and simulations will proliferate, and if Breakthrough Starshot succeeds, we may in the latter part of this century see Proxima b close up. 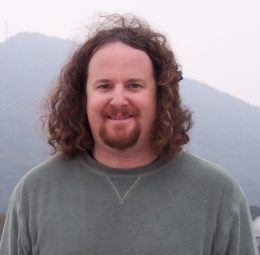 There are two Rory Barnes / Virtual Planetary Laboratory papers to consider. The first is “The Habitability of Proxima Centauri b I: Evolutionary Scenarios,” submtted to Astrobiology (preprint). The second is “The Habitability of Proxima Centauri b: II: Environmental States and Observational Discriminants,” submitted to Astrobiology (preprint). Alright, based on my dummy level understanding of planetary science, I was under the impression that finding a rocky planet with an oxygen rich atmosphere would imply either life or some sort of process that continuously replenishes the atmosphere with oxygen. Otherwise oxygen will start oxidizing (eh oxidating?) things away until you eventually run out of oxygen and the atmosphere will turn reducing. As usual, I’m most probably wrong, but I would like to understand what kind of models allow for lifeless rocky planets with high and stable concentrations of oxygen in the atmosphere. Habitable atmospheres have avoided being stripped by stellar activity and held onto their H2O as oceans rather than being drawn into a runaway greenhouse effect started by too much volcanically produced CO2 or by any number of factors , such as excessive stellar irradiation raising temperatures during Proxima’s bright pre main sequence phase when its current location would not have been in the hab zone but too close . Or tidal heating which produces heat directly but also operates through vulcanism . Or some combination of the above . All this leads to the planets stating H2O inventory vaporising and getting into its upper stratosphere where it is then photo dissociated by UV into H2 ( which is light and subsequently lost to space ) and multi bar pressure O2 which offers nothing to habitability due to the high planetary temperature and lack of H2O. The pressure of O2 can be so high that it uses up all the oxygen “sinks” and the atmosphere remains oxidising rather than reducing as on early “Archean” Earth . Probably important as even with some water perhaps retained and a reasonable ambient temperature, such an atmosphere would not be conducive to the existence of early fragile ( oxidisable ) organic molecule building blocks of life. If the greenhouse effect stops somewhat earlier it is possible for O2 rich atmospheres at Earth like temperatures and even pressures but non inhabitable as they have lost all their water. See above. If the runaway greenhouse is volcanically driven the planet can end up with a 90 bar CO2 atmosphere as a Venus analogue . No O2 . No H2O so easy to spot . The take away message from the paper is that Oxygen can dominate none habitable atmospheres and is not a bio marker on its own. A dead give away of the “abiotic” photodissociation /greenhouse driven O2 atmospheres is the presence of the O4 molecule in a direct image absorption spectrum . Earth like atmospheric spectra have generous O2, (and O3 ozone) absorption peaks , but NO O4 . They also also have multiple H2O and CH4 methane peaks in the near infrared, classically overlapping though individual peaks occur in the visible too . With enough image contrast ( beyond JWST but not ELTs ) liquid H2o oceans can be observed as “Ocean glint” . This is a big step forward in the understanding of planetary spectra , especially bio steer gas ratios , so the sooner we can do it the better ! Great explanation. Thank you, Ashley. I hadn’t paid too much attention to the ETL project until recently. In terms of excitement factor, it now ranks higher than new interplanetary probe missions, as far this one reader is concerned. Thanks and I share your enthusiasm. We are ready for the next phase of observation. I’m amazed at this paper . It has really taken the understating and interpretation of exoplanetary spectra to the next level. The best of its kind I’ve read along with the other outstanding Proxima paper’s over the time since the discovery . When we finally have a decent sized dedicated space telescope , interpretation of spectra can now be methodical and informative with a much smaller chance of false positives. This paper really explains spectroscopic bio signatures and critically their essential combination. Proxima b is an exoplanetary scientist’s dream discovery , whatever it turns out to be . I really grieve that all of this , and not least the exceptionally thorough discovery process ( extraordinary claims need extraordinary evidence ) is worthy of the Nobel prize for astronomy . It’s completely changed the exoplanet paradigm almost overnight . Proxima is estimated to sport a magnetic field some 600x that of Sol. Since Proxima b lies so close in, one would assume that this field played a role in the evolution of conditions on the planet. The question is of course in what way? Assuming 600G at surface, with b at 0.05 AU that’s 75 Proxima radii. Meaning flux density at b will probably be only around 0.1G . Indeed! . Depends on how long it has been in its current position. It could have migrated in relatively recently from a further out , calmer spot . Coronal mass ejections , CMEs and flares are caused by stellar magnetic fields. These are driven in turn by convection of plasma ( charged ” ionised” gas ) throughout the small M5.5 star and particularly its outer layers due to its differential rotation from one latitude to another and simultaneous meridional circulation ( from equator towards pole and back like the Earths atmosphere ). Sun spots are the surface manifestation of these looped fields emerging from the star’s photosphere , with adjacent spots being of opposite charges and connected by the loops . Create thousands and they form a giant irregular “mesh” surrounding the star . As the stellar wind is given off it gets trapped in these fields over time and builds up like water behind a dam and the plasma it consists of heats up to millions of degrees in the corona, or star’s atmosphere ( hotter by far than the 3000K of the photosphere, but at much lower pressures ) ultimately becoming hot enough to produce high energy U.V light and even X Rays ( despite small Proxima generally producing most of its energy in the IR or visible ) to say nothing of huge clumps of high energy plasma. The magnetic fields are unstable and eventually quite literally snap ,suddenly , releasing their highly energetic contents as CMEs and flares of high energy U.V and X – Rays ( if really energetic ) which rush out into space at near relativistic speeds to batter any nearby planets. Nasty and very common for M stars though generally settles by the time a star reaches Proxima’s age. Could theoretically strip away a planets atmosphere though meantime , or even reach down to the surface of a planet ( despite an atmosphere and planetary magnetic field such is the energy involved ) damaging any organic matter or nascent life , certainly potentially increasing the mutation rate . There are examples of very ” calm” M dwarfs though too, so I guess it averages out across the class. “Even if some water remains, Barnes writes, the atmosphere may then contain large quantities of oxygen, a reactive element that could well have prevented …” O2 is very reactive; it will be removed from any atmosphere by reacting with almost anything. I mean: O2 left over by removal of H from water will not stay around long. Barnes is wrong. Um no. This is a well-known danger with planets that have a lot of water in the atmosphere. The water in the upper atmosphere is photodissociated into hydrogen and oxygen, and the hydrogen escapes. The oxygen oxidizes everything in sight until all the available oxygen sinks are saturated, at which point the oxygen builds up in the atmosphere. This process of saturating the oxygen sinks and then building up in the atmosphere is exactly how we got the existing oxygen levels in Earth’s atmosphere, albeit through biotic rather than abiotic means. Abiotic oxygen production, though, can result in oxygen levels of hundreds or thousands of bars — instant death to any life form. If the planet had enough staring water it can be dissociated into huge amounts of O2 ,ten bar plus and some , more than enough to overwhelm all the planets O2 “sinks” and to dominate in an ” oxidising atmosphere “. If the planet has active tectonics the oxygen will react over time with the interior rock, there is much more rock than water so although there will be an oxygen excess it would not be for long over geological time. Best read the papers before expressing such an emphatic judgement. That’s why Paul kindly provided the links. Yes. The final sections on the spectrums of different atmospheres was very illuminating and well described and illustrated . First time I’ve seen that done and certainly preparing the way as we get closer to detailed exoplanet characterisation and things start to get really exciting . A star that can live for trillions of years? Did I read that right? I thought proton decay or some other factor limited the existence of our current universe to about 70 billion years. I forget where I read that, but what’s the right answer? Proton decay was a prediction of ‘supersymmetry’ theories of the 1970s and 1980s, but it has never been detected experimentally, and people have looked very hard for it. Current knowledge suggests that our universe will exist for hundreds of trillions of years, if not longer. No . The incredibly slow rate of hydrogen fusion in M dwarfs combined with a substantially or even fully convective star ( below M3.5 and including Proxima Centsuri ) allows most or even all the star’s hydrogen into its core to be fused allowing a main sequence life of trillions of years . In the future , the very distinct future , the universe will be red because of this . Eventually after even the red dwarfs have run out of fuel and cooled down to dark embers , much much later , thanks to Hawking radiation even the last remaining monster super massive black holes of that distant time will “evaporate”, thus completing a “heat death” scenario. Assuming the universe continues expanding though . There are theories that predict that onging expansion will ultimately rip apart the very fabric of space time long before the above scenario. Or perhaps baryonic matter will eventually counteract the effects of elusive dark matter/ energy and slow down expansion , reverse it and lead to a “Big Crunch” endpoint . Proposed proton decay rates are incredibly slow. Hypothesized half life on the order of 10E35 years. And even their complete decay wouldn’t result in the end of the universe. But, there are shorter theorized age limits for the cosmos. Shorter even than the 70 billion you quoted. However, as with proton decay, there is as yet no observational evidence which quantifies the cosmic “lifespan” with with any high probability nor even it’s ultimate cause of death. Plenty of work to do. No proton decay observed. I didn’t have any references at hand to confirm this but it turns out that Wikipedia has a decent summary and source references. Essentially a habitable , uninhabited world . Yes. Wouldn’t need terraforming in the conventional sense . It would be interesting to see how it evolved given a man made head start . Even the first exploratory robotic craft would introduce microbes . How would they proliferate ( if at all) into an entirely vacant biosphere ? An interesting experiment . What about the “Big Rip” due to dark energy? I thought that was going to doom the universe too long before 100 trillion years? Still only one of many theories . Difficult to simulate until the nature of dark energy and mass is understood ( if ever) as they are central to whether the Universe goes on expanding ( as seems to be the case at present ) . They count for 75 % of the Cosmos yet have never been seen directly let alone constrained in any way. Disappointing that the LHC hasn’t been able to help. So no one knows essentially though there are a myriad of theories to pick from. Ashley The solar wind might be pretty strong also due to the close distance of the exoplanet to Proxima Centauri? Also the differential rotation of Proxima causes the magnetic field lines to twist and form loops which become the solar flares. The x-rays are cause by bremsstrahlung x rays when eletrons from the magnetic field collide with atoms, like a process that happens in our Sun? That’s a good question that I should be able to simply answer yes or no. I’m no stellar astrophysicist though so don’t know the exact final pathway to x-Ray production. I always just took it for granted that the powerful magnetic fields created by late M dwarfs could trap the stellar winds, plasma and electrons for longer and in doing so allow a greater build up of temperature to the millions of degrees and high energies necessary to allow X Ray production. A bit like the tell tale signs of an accreting black hole as ingested matter is compressed and heated up in the disk near the event horizon. Late M dwarfs, beyond about M3.5 , are fully convective which challenges conventional theories on stellar magnetic field production which describe an interaction of differential rotation and convection ( both from the core outwards and back in again but also meridional, analogous to atmospheric heat transport from Equator to pole and back in Earths atmosphere ) . This produces the dipole field we see with the Sun and other simarly sized or larger stars . The idea is that the field is fixed to the radiative / connection ” tachycline ” layer within the star. The radiative zone rotates like a solid with no differentiation . This obviously can’t happen with a fully convective star like M5.5 Proxima and smaller , and the last I read the theory was that magnetic fields were instead distributed . I’m not sure fully what that means . To complicate this further , Proxima is a slow rotating star which suggests there is more to magnetic field production than a simple Dynamo model even though faster rotating stars do have more potent fields seen most classically in neutron stars and especially magnetars. All in all though you’ve hit the nail on the head with the proximity of all this to Proxima b. Proxima flares throughout the day and strongly over weeks too so a real challenge to habitability even now . The sooner atmospheric chararcteridstion of any sort is done the better. I see Hubble has commenced transit soectrievopt on the two outer planets of Trappist-1 . With their even closer proximity than Proxima b we should get the first Hab zone atmosphere breakdown quite soon (or what counts as a Hab zone for a JUST M8 star ) . The temperature from the accretion disk of a black hole comes from the from friction and compression by the force of gravity on matter in the disk. In our Sun, electrons trapped in the magnetic field above the surface follow the field lines down onto the chromosphere. They collide with denser gas or ions there and are braked. The electrons emit x-rays or bremsstrahlung (braking radiation) since charged particles emit EMI when accelerated or decelerated. There are other ways I recall x-rays can be emitted. The heat of the plasma coming down the magnetic field lines and hitting the chromosphere and heating it up and evaporating material there or the heat of the plasma in the flares themselves. Source a book titled x-ray astronomy, 1979 forgot author. Also the magnetic field of a star can also come from the differential rotation boundary between the convective and radiative layers in a star but a small red giant only has a convective layer from what I recall and what you wrote. There still may be a differential rotation since the poles might spin slower and the Equator might spin faster like our Sun which has a polar rotation of 27 days and 32 days at the equator that still might cause a magnetic field and I assume on the surface there are magnetic field lines like our Sun which has a faster rotation at the equator. Consequently, the shearing affect causes magnetic field lines to become closer together near the equator. The magnetic field lines become twisted like a rope and the convention pushes the field into the shape of a loop above the surface and you have a loop field extending away from the surface. Magnetars have a stronger magnetic field than stars but some large stars can have a stronger flux therefore more potential magnetic energy which is conserved when a star collapses as some astrophysicists have theorized. A magnetic field must become stronger since the size of the neutron star is much smaller but the field strength remains the same. Charged particles or electrons which more in circles create a magnetic field. As long as you have some rotation you can have centrifugal force which can help make a magnetic field? How fast is the star Proxima’s rotation? The field potential energy is conserved and remains the same when a star collapses into a neutron star so you have a much stronger magnetic field. Excuse me, A meant a small red drawf, not red giant. I was thinking that convention might make a magnetic field in small red dwarf stars since charged particles that move in circles like electrons can make a magnetic field. Even the solar wind of our Sun has a magnetic field since it moves close to a million miles per hour and is composed of a plasma of free electrons and protons. A faster rotation does make a stronger magnetic field according to astrophysics. I read that red dwarfs magnetic field gets weaker over time even though it only has only convection and no radiative layer. They are meant to be less active with age , certainly Flare wise, but that doesn’t always seem to be the case as Proxima shows . Unless it is younger than thought, 4.85 Gyrs is very much an average of the various age determining processes , varying from 3.2 -5.9 Gyrs for Alpha Centauri A/B with an assumption being made that Proxima is indeed part of the same group ( and thus age) rather than a coincidental interloper. It sits on a gravitational cusp so to speak. Detailed and extended Asteromoseismology is needed and to some extent Kepler ( as was) set the ball rolling but it will be PLATO over six years ( including both a 3 and 2 year uninterrupted observation of two star fields ) that will really take things forward , especially following on from Gaia. We had this discussion re: KIC 8482852 and the topic of that star’s age came up, and you pointed me in the direction to do some research of how a star’s age is determined. Thank you! It is little appreciated (at least on my end) that there are VERY large uncertainties in how we determine an individual star’s age, as it is a calculated value dependent on theoretical and computer models (as well as good input of measurable values). This of course makes it more difficult to nail down what is really going on at Tabby’s Star (or Proxima and it’s effect on Per Ardua): Where are they along the Main Sequence? You mentioned that Proxima rotates once per 80 something days, and got me to thinking: 1960’s, Otto Struve had a hypothesis that slowly rotating stars would be evidence of planets. Conservation of angular momentum. With 2000+ planets, is there any validity to this hypothesis? I’ve not seen it advocated anywhere . The book Paul is currently reading covers pretty much all of this subject matter and steller rotation isn’t mentioned other than its use in the Doppler spectroscopy discovery technique. Asteroseismology will sort all this out . Especially from PLATO. If you think that K2 can currently only obseve a star’s tell tail seismic waves for 80 days maximum, PLATO will observe one field field for three years and another for two , with all the original Kepler asteroseismology data and twenty years better computer processing power . Tabby’s star is no were near Alpha Cebaturi’s distance and we know the latter’ age has a large error margin . It’s also a smaller star with a longer main sequence life than F3 Tabby’s , which may only last 2-3 billion years . F dwarfs are also unusual in moving from the main sequence to giant stage very rapidly unlike the much more drawn out process seen in G2 Suns like the Sun, and Alpha Centauri. One of the hints that Alpha Centauri A may be older tha Sol ( and nearer 5.9 Gayrs old ) is its significantly greater luminosity despite being the same stellar class and mass . I thought Proxima Centauri and Alpha Centauri A and B came from the same cloud as the Sun but one of the visuals showed that Proxima Centauri was much closer to the center of the milky way when they formed. Could the makeup of these stars be different because of that and could the infall of comets or large asteroids be what is causing the flares? One other problem that is affecting the astronomy community is the prospect of finding barren worlds in these systems. A similar problem caused the near curtailment of the space program in the mid sixties, when Mariner 4 discovered craters on Mars and no Canals as the public expected! See this beautiful Mars map festooned with canals made by the US Air Force in 1962! I presume you mean the manned exploration of Mars, not the entire American space program. Then again, NASA did originally envision putting astronauts on Mars in the 1980s and colonization efforts soon after that, all of which started falling by the wayside once Mariner 4 and its poor quality images gave the impression that the Red Planet was not nearly as interesting (read no life intelligent or otherwise) as we had been led to believe thanks to Percival Lowell et al. Only recently has NASA picked up the manned planetary exploration gauntlet again and it remains to be seen how long this latest effort will last. Or will someone else continue and accomplish what NASA had originally intended to do back in the first decade of the Space Age (SpaceX? China? Russia? India?)? Percival Lowell and building canals on earth were all the rage at the turn of the century (1900) and he took advantage of that, If that had not happened maybe we would still be trying to get to the moon! There was a period after the Apollo 1 fire in February 1967 that people were really questioning whether it was worth spending the huge sums to reach the moon. They were seriously talking in the mid sixties about reaching Mars in the 70’s with the Nova rocket and Nerva nuclear rocket, plus the intelligence community knew about the development of Russia’s N1 giant rocket! A very interesting time in history. I think it’s been shown that Alpha Centauri A And B certainly formed closer in (4.5 KiloParsec?) , but the jury is still out on Proxima as its orbit is right on the cusp of being gravitationally bound to the same system . Or not. Stellar metallicity on which such things are gauged is well beyond amateurs like me . We’ll be into stellar Populations I,II or III next which gets seriously complicated and is still open to much debate ! One way to find out. We may be some way from imaging Proxima b but the ACEsat 45 cm telescope could image the Hab zones of both Alpha Centauri A And B in two years for $120 million , a small Explorer mission. No spectrograph for that price but by imaging in 5 separate wavelengths it can spot the Raleigh scattering and CH4 absorption bands seen in terrestrial atmospheres. Not sensitive enough to say Earth like but easily able to rule out no atmosphere or a smothering mini Neptune envelope. Push up to a medium Explorer ( $250 million) and perhaps there could be a spectrograph and even a bigger mirror for better image /spectral resolution and light capture ) . The technology is there , it’s just a question of the will. The ACEsat designers have produced an even smaller telescope , 25cm Centaur, that could do it to for just $25 million. Has its own website looking for private funding . ( though it shouldn’t need to) No surprise they have representation on the Starshot Breakthrough Committee. Maybe the Proxima b discovery will make NASA’s Explorer decision committee more accommodating . Larger version could either directly image other nearby bright stars too or do wider transit spectroscopy , so not just a one shot wonder. Of course this is Proxima b, which will likely remain the closest exoplanet (along with any siblings that may be found there) to Earth for a long while, so saying it could have life forms may not be required. However of course we should investigate that world for life since we have such a long way to go when it comes to knowing where life may or may not be able to exist. Far simpler and, probably, effective would be to deliver bacterial spores that just need water and food to incubate and grow. Even a eukaryote yeast can be delivered dried. At this point I am just happy when a professional scientist thinks outside the box and publicly at that. We can parse the details once the Genesis devices are ready for dispersal throughout the galaxy. And I am sure no one else out there has ever had the same idea. There is no “genesis device”. You cannot create cells by just creating DNA. Just look at what was required for Venter to create the first “synthetic cell” – adding DNA to an existing cell with the DNA removed. I see no value in trying to synthesize new life unless the issue is too high a death rate from radiation during flight. If bacterial spores cannot survive, then the same will apply to complex machinery. Where advanced life creation might be needed is when analysis of a new, dead world requires de nono creation of radically new life forms. Currently it is just SciFi, and will remain so for a long time. I would bet that our existing range of prokaryotes would be sufficient for most suitable worlds. A range of spore-producing, multicellular eukaryotes might also be suitable after planetary conditioning with microbes. Greening the galaxy is going to be far more likely if the craft are extremely small and numerous, or if they can reproduce themselves and their acceleration devices. Ashley, what is your source on this? I believe the ESPRESSO has yet to be mounted. It’s not going to impact on ESPRESSO which is being readied for scientific first light on one of the VLT unit telescopes this year as far as I’m aware and according to the ESA /ESO website. This spectrograph, as proposed, is much bigger for the massive E-ELT with four fibre fed modules as opposed to ESPRESSO’s one. The idea came out of the E-ELT Phase-A instrument studies that showed the need for simultaneous coverage in the visible and near IR, something that CODEX and SIMPLE did between them. This led to recommendations by E-ELT Science working group and the Scientific technical committee that led to the ESO adopting a HIRES in the ELT instrumentation roadmap. Things seem to have moved forwards quickly from there and after various White papers and “blue books” led to the development of a HIRES consortium ( consisting of several different countries ) that submitted information in response to a request for information for Phase A studies. The consortium was subsequently awarded the Phase A study and it is likely to be accepted . Sounds fine . A HIRES would be an ideal instrument on such a big scope. Would be great for exoplanet science providing broad bandwidth spectroscopic coverage of exoplanet atmopheres at high resolution and different atmospheric depths in addition to offering RV spectroscopy discovery . The problem , as will seen on reading the article is that the concept is likely to come in well above the 18 million euro budget cap which is likely to lead to a descoping as things stand . No detail. Be interesting to see what you think and where things go . ESPRESSO is safe though . It’s the capabilities of the ELT that are at risk as I see it. Judge for yourself . As long as it can still detect the gases needed for life like Co2, CH4, N, H, H2S(Hydrogen sulfide). I am not an expert in spectroscopy so I can’t judge of how bad a loss of R = 30000 would be. Maybe it might affect the distance in light years away an exoplanet is? The closer the better resolution? Excuse me I mean the gases that are the waste products of life. Also we have to wait and see it Proxima b goes behind Promixa a, the star. If it does then we can use transit spectroscopy. With transit spectroscopy, the expo-planet has to go completely behind the star so its reflected light gets completely blocked. Then they can subtract the spectrograph of the star alone from the star plus the planet and you get the planets spectral signature. I guess if the angle of the planets orbit too high as seen from Earth we can’t do the subtraction because the light of the planet won’t get blocked by the star and we can distinguish the chemical composition. I see a new coinage: “exoplanet fatigue”. However, Prox b is still waiting for potential transit data, and different kinds of data from ESPRESSO and JWST. When the planets of Alpha Cen are picked up as they spread apart and we get better eyes on them, you bet these will be more news. Yes, it will take a while, of course. Here’s the latest. “Atmospheric characterization of Proxima b by coupling the SPHERE high contrast imager to the ESPRESSO spectrograph.” by C Lovis et al. ArXiv.1609.03082. David Kipping’s LATEST tweet: Last few days have been rediculously busy. but lots of awsome stuff coming soon#Proximab#exomoons#CoolWorlds. ” AWESOME!? Sounds like paper(s) have been submitted with at least MARGINALLY positive results! Maybe THAT’S why HST is following up on Proxima b SO QUICKLY! They may have VERY SPECIFIC AND VERY SHORT time INTERVALS to observe now, meaning that error boxes have tightened up CONSIDERABLY. CAVAET: This could STILL be ARTIFACTS in the data, and ONLY DEDICATED FOLLOW-UP OBSERVATIONS can INCREASE the sigma to the NECESSARY 4! They have FINALLY submitted their paper! Unfortunately, it will be up on arXiv, which PROBABLY(very speculative here) found no CONCLUSIVE evidence of transits(if they HAD found 3 sigma or more, the paper would have been submitted to either Nature or Science under EMBARGO, i.e.NO arXiv until the chosen magaxine PUBLESHES the paper). This means that a 1.5-2.5 sigma detection has been possibly been made, but whether they ASSERT that is up for question. Sometime in the near future, HST will make its observational run in collaberation with PRD, so ANY published indication of POSSIBLE transits would be of GREAT help, and WOULD be “awsome” as posted in their earlier(see ABOVE) tweet. Just like I thought! Only ONE “candidate” signal that was observed SIMULTANEOUSLY by MOST and HATSouth. The MOST data IS consistant with a transit, but the HATSouth data “disfavored” a transit by 1-2 sigma. Other transits at the appropriate(ie based on the ephemeris of the “candidate” transit)times were NOT evident, but may STILL be in the data as “false negatives” due to flaring activity, however, the combination of these two results leads the authors to “slightly disfavor” Proxima b transiting Proxima Centauri. A rocky extrasolar planet with a mass similar to that of the Earth was recently detected around Proxima Centauri, the nearest star to our sun. This planet, called Proxima b, is in an orbit that would allow him to have liquid water on its surface, thus raising the question of its habitability. In a study to be published in The Astrophysical Journal Letters, an international team led by researchers at the Marseille Astrophysics Laboratory (CNRS / Aix-Marseille Université) has determined its dimensions and properties of its surface, which actually favor its habitability . She said the planet could be of the “ocean planet” with an ocean covering its entire surface, and a similar water than some icy moons around Jupiter or Saturn. The researchers also show that Proxima b composition might look like that of Mercury, with a metal core with two-thirds of the mass of the planet. 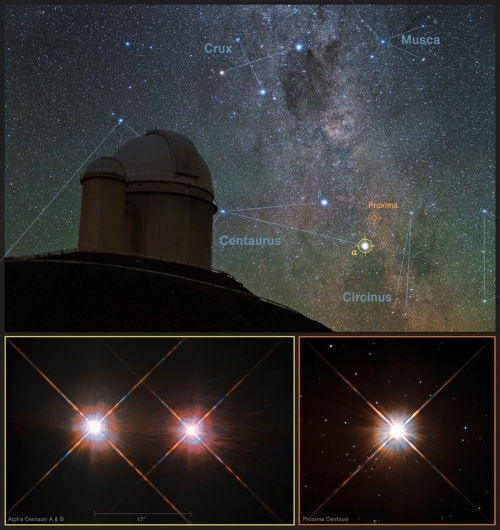 These results provide the basis for future studies to determine the habitability of Proxima b.
Proxima Centauri, the star nearest the sun, has a planetary system consisting of at least one planet. By analyzing and supplementing earlier observations that such a discovery was recently made, marking the field of exoplanet research. These new measures have shown that this planet, named Proxima Centauri b – or simply Proxima b -, has a mass close to that of the Earth (1.3 times the latter) and orbits its star at a distance of 0, 05 astronomical units (one tenth of the Sun-Mercury distance). Contrary to what one might think, as little distance does not imply a high temperature on the surface of Proxima b. As Proxima Centauri is a red dwarf, its mass and radius correspond to only one-tenth of the Sun, and its brightness is a thousand times smaller than our star. At such a distance, b Proxima is therefore in the habitable zone of its star. It is likely to harbor liquid water at its surface and therefore to harbor life forms.